This substantial pack comprises of 22 separate pieces – all highly detailed resin castings and all pre-painted in grey shades. There are 12 sections of straight walling - of differing lengths/heights - which gives 4ft of ‘straight runs’ in total and 10 ‘corner sections’, again of differing size and height. 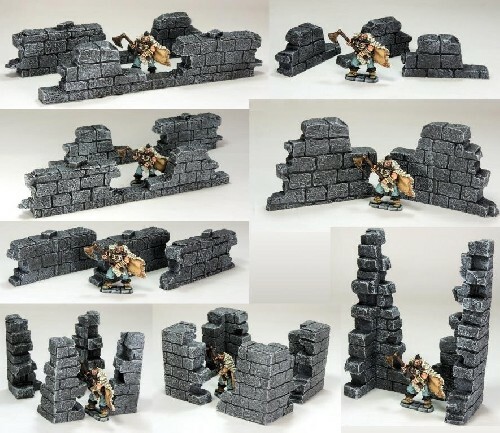 This hefty pack allows you to build corridors, building footprints etc and is designed to work fantastically with the other packs in the range to let you create the ultimate Frozen City for your gaming adventures.